in a few weeks, I bring you a tank? Well it’s been a few weeks, but I finally have an update. My friend James "Jimbo" Burrell was kind enough to help me with some of my minis. Jimbo is the sculptor and lead designer over at ArtCrime and is a really cool guy. I'm proud to bring you the Broadsword Assault Gun Tank. 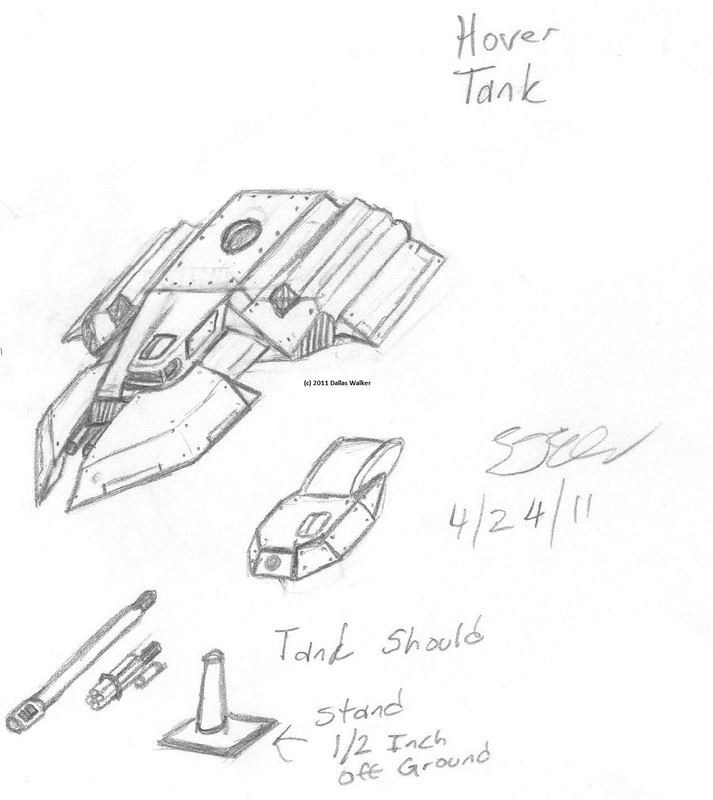 This is the new revamp in the light hover tank design for army number two. 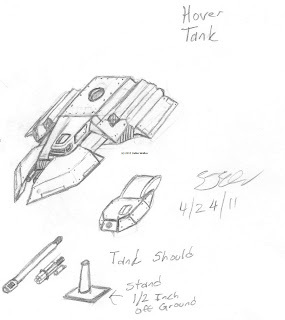 You can tell from the previous sketches, I've added flaps on the wings and nose for stabilization in flight and moved the turret more to the center of the top. My friend James "Jimbo" Burrell is doing the model for me, he has a website for his 15mm game from Artcrime. for those of you that want to check out his awesome stuff go to http://artcrimeproductions.blogspot.com/. let me know what you guys think about the concept. The "N - Scale" Griffin is in the queue for a mold. The Griffin (and its many variants) has been dropped off at the casters. It looks like it maybe a month before they can get to it as they're very busy, but am still very excited.